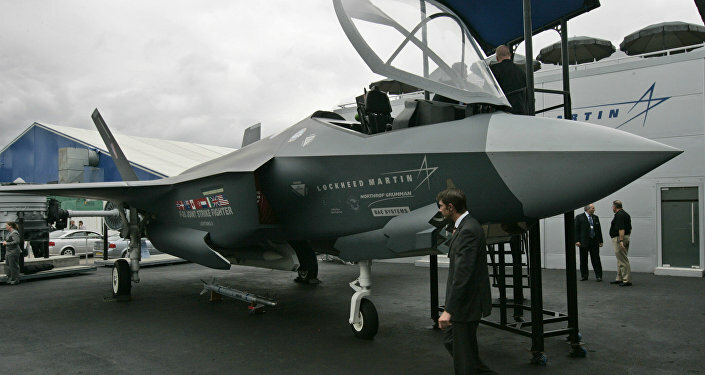 Last week, Senator James Lankford's office stated that a bipartisan group of US senators introduced legislation to block the transfer of F-35 aircraft to Turkey over its decision to buy Russian S-400 air defence systems. Washington has halted its delivery of F-35 fighter jet parts to Ankara due to plans of the latter to purchase Russian S-400 air defence systems, Reuters reported on Monday citing its sources who wanted to remain anonymous. A State Department official told Sputnik on Monday after the United States reportedly halted shipments of F-35-related equipment to Turkey that the US government warned Ankara that it could face even more consequences including sanctions for purchasing Russian S-400 defence systems. "We have clearly warned Turkey that its potential acquisition of the S-400 will result in reassessment of Turkey’s participation in the F-35 program, and risk other potential future arms transfers to Turkey, as well as lead to potential actions under Countering America’s Adversaries through Sanctions Act (CAATSA) upon any government entities, private industry, or individuals involved in such a transaction," the official said when asked to comment on the United States reportedly halting the shipments. This comes after Turkish President Recep Tayyip Erdogan decided not to abandon plans to buy the Russian system despite US claims that the S-400s may compromise the security of their F-35s. Commenting on the planned purchase, Turkish Foreign Minister Mevlut Cavusoglu said last Friday that Ankara purchases Russia's S-400 Triumph anti-aircraft missile systems for its own needs and there will be no reselling. According to the Turkish official, Ankara will receive the military equipment from Moscow in July. Last month, Turkish Defence Minister Hulusi Akar noted that Ankara expects the delivery of F-35 fighter jets in November despite US criticism of Turkey's decision to buy Russian S-400s. Turkey is planning to purchase 100 F-35 fighter jets from the United States, with its pilots being trained at the Luke Air Force Base in the US state of Arizona. In December 2017, Russia and Turkey signed a loan agreement for the supply of S-400s.